The Pineapple Palm Two-bedroom condo is a magnificent vacation rental situated at the deluxe condominium resort of PalmAruba Condos. 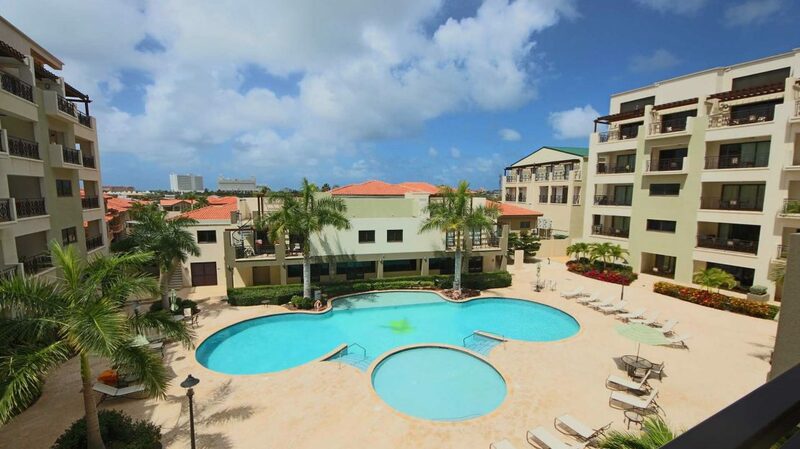 This comfortable beach style condo has an open plan living area with a fully equipped open kitchen, 4 seat dining table, a queen-size sofa bed, HDTV and access to the furnished balcony overlooking the pool area. The master bedroom has a king-size bed, HDTV, built-in closet and en-suite master bathroom with shower. Second bedroom has a queen-size bed, HDTV and buitl-in closet and second bathroom with shower. Central Air Conditioning in all areas, abundant parking space, hot water, free wireless internet, three flat-screens Cable TV (in living room and in all bedrooms), in-room washer/dryer facilities are all available for your extra comfort. This condo is located on the third floor in the east building. – Sleeps max 4+2. Palm Aruba Condos is among the most deluxe condominium resorts on the island of Aruba, providing you with various vacation rentals condos and a unique resort experience. 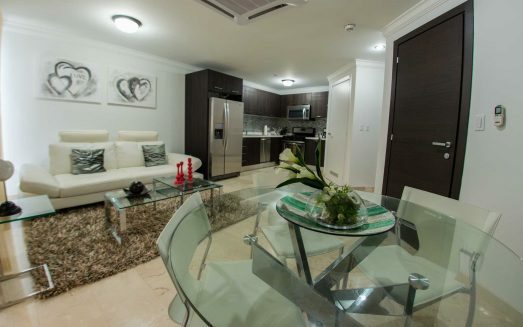 Palm Aruba Condos is located in the heart of the Palm Beach area of our “One Happy Island”. 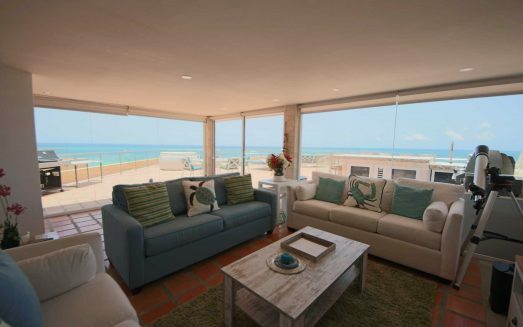 Situated just a few minutes away from the world-renowned and popular two-mile-long white sandy Palm Beach. The calm turquoise waters makes Palm Beach a comfortable haven for swimmers, beachgoers and sun seekers. In the evening Palm Beach is a great setting to enjoy some amazing Caribbean tangerine sunsets. Palm Beach offers plenty of water sports companies, piers, beach bars, restaurants, entrainment, casinos and shops. Two of the largest shopping malls in Aruba, Palm Beach Plaza Mall and Paseo Herencia, cater to the shopping fever and offer various restaurants, cinema theaters, water fountain shows, game rooms, bowling, arcade games and Spa facilities. At night this area comes to life as the various lively nightclubs, cafe, bars and restaurant give an upbeat entertainment experience. Palm Beach, also known as the high-rise area, is a tourism district about 4miles northwest of Oranjestad, the capital of Aruba. Several exquisite beaches, like the Eagle Beach, Hadicurari Beach, Malmok Beach, Boca Catalina Beach and the Arashi Beach are just a few minutes’ drive away. Palm Aruba Condos has a special arrangement with MooMba Beach Bar & Restaurant – an open-air seaside restaurant on Palm Beach that serves breakfast, lunch and dinner – to allow our guests to enjoy their own palapas and beach chairs free of charge; subject to availability. 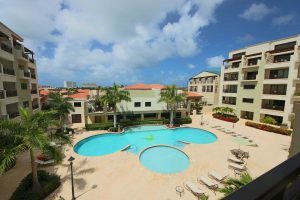 Just a stone’s throw away from the Palm Aruba Condos you can find a variety of eating places – from breakfast to dinner -, a gas station, several convenient stores, a local bank and the famed Island Yoga – a yoga sanctuary in Aruba -. 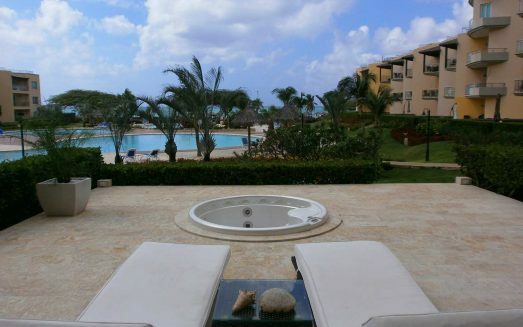 The resort’s pool area is the place to relax and enjoy the Aruban weather. It is completed with an adult and children’s swimming pool, lounge chairs and parasols; for use of all guests. Pool towels are provided upon check-in. The resort features a Fitness Center overlooking the pool area it is fully Air-conditioned and equipped with Cross Trainers, Treadmills, Exercise bikes and Rowing machines. 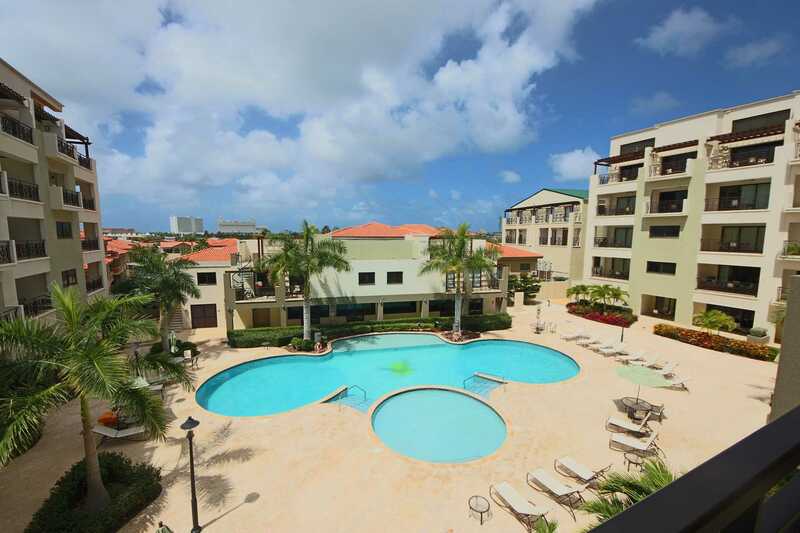 Furthermore Palm Aruba Condos offers a recreational area with 4 large BBQ-grills (available upon reservation), picnic tables, a small play-ground and a hard surface tennis and (half) basketball court. Our Concierge Services allow you to plan your vacation so you can enjoy the best Aruba has to offer. Make this your most memorable and hassle-free Aruba vacation and BOOK your activities with us ahead of time! A rental car is recommended and our resort’s concierge will be more than happy to assist you in reserving one. We are unable to display the calendar on your device. Please use a compatible browser. We recomend Chrome 45+. 1304 10th St. St Cloud FL. Vacation Rental Website Design By Villa Marketers.